So I have elected to finish the Once Upon a Time reviews. Not sure how in-depth the reviews will be but here we go with season 5. Ok, Hold up, only 30 seconds in and I have an issue. I thought Emma was in Boston till she ran away to Minnesota when she was 13 or 14. She is clearly a kid in 1989. Was she moved to Minnesota and then moved back to Boston and then ran back to Minnesota? I know it’s part of the show to change everyone’s past when ever but this is a headache to people who are paying attention. Confession time, I don’t like Brave so seeing Merida doesn’t bode well. 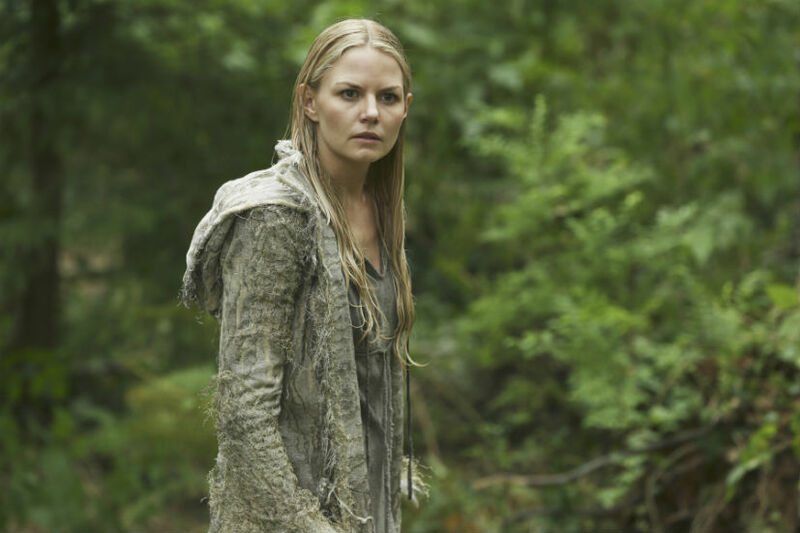 This episode has Emma re-solidifying as the Dark One at vault of the Dark One. Emma sees a vision of Rumple who is the embodiment of all the Dark Ones to train her in the ways of the Dark Side. Emma however is trying to resist. Rumple-vision tells her the way to find Merlin, who can help her, is through the will-o-wisp which is how she meets Merida. While that is going on the Storybrooke crew is trying to get to Emma. The apprentice gives them a wand but only Zelena can wield it. After some tricky they get her to open a portal and the crew goes to the Enchanted Forest via Grannies along with the Dwarves in a cyclone. The crew gets to Emma and convinces her not to kill Merida. Then go to Camelot BUT then there a flashforward back to Storybrooke where 6 weeks have passed but everyone has forgotten what happened after they entered Camelot. Emma is also a fully-relieved Dark One. So we have another memory loss plot. They did it again. Third Time in 5 seasons? Nitpick time, someone who recalls season one, when Rumple became the Dark One, did he go to the vault? Because I think he remained where he was and just transformed. Unless Emma had to because she in the Land without Magic And someone who recalls season 2, didn’t Hook use that heart taking potion to take Aurora’s heart in season 2? He mention how he got it but did the writer forgot him taking Aurora’s heart? I did like this episode, even with a Disney character I don’t particular care for. It does seem like Merida was very on the nose, making it seems like she will be recurring. It’s weird how sometimes the Disney characters are straight out their movies and other are different. I also like how the Dark One’s dagger is the tip of excalibur, that is neat plot development. The design on both is a given away. So we’re back to magic having prices. This concept of the show never really went away but it hasn’t been mentioned in a while. What price does Regina pay for silencing Zelena or fixing sneezy or transporting everywhere? This episode has Robin’s life being threatened by a fury who wants to drag him to hell because Regina had Emma saved him Camelot. The power of friendship saves the day in the end. That is actually what happens. I do like Emma’s new attitude especially considering how whiny she was in season 3 and 4. Can’t really tell how much she committed to being the Dark One or if it’s part of some larger plan. Emma does have a nice house though. Speaking of being whiney, Hook is the whiney one now trying to figure a way to save her. 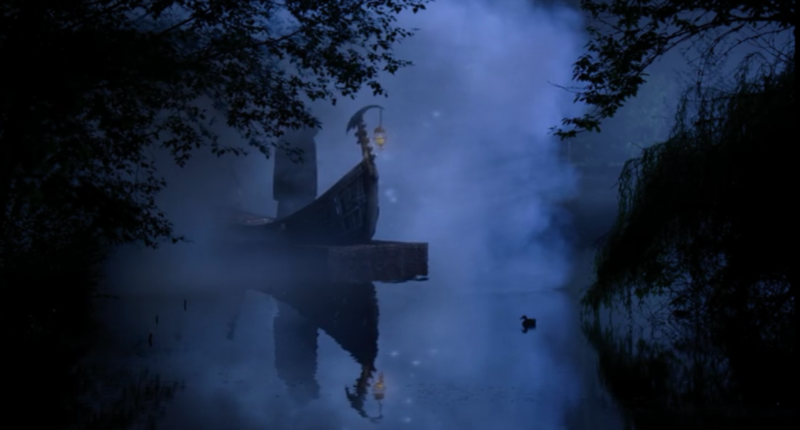 This episode did introduce my new favorite character The Nonchalant Duck on the pond as the hellish ferriman comes. The duck is like “hell is opening? Whatever.” Seriously my eyes go right to the duck just swimming by. I also liked Emma’s flower child ball gown. It’s like they’re trying really hard to make the juxtaposition of her as Dark One before she “embraces” the darkness and after so they dress her as innocent as possible. Her outfit in the season opener looked like moss. She seemed more like a forest hermit than a creature of pure darkness. And they mentioned a pull to the light, #EmmaisKyloRen so is Rumple either Snoke or Palpatine? Guinevere is quite pretty. She is played by Joana Metrass. Do you think she would make a good Esmeralda? This episode seemed average. Seems like most of this arc will deal with the 6 missing weeks and Emma’s dark plans. I’m sure there will be other flashbacks.